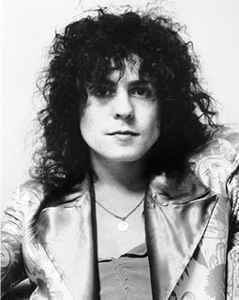 Marc Bolan (born Mark Feld) was an English singer-songwriter, musician, guitarist, and poet. He was best known as the lead singer of the rock band T. Rex. He died at the age of 29 in a car accident a fortnight before his 30th birthday. Born: 30 September 1947 in Hackney, London, England, UK. Died: 16 September 1977 in Barnes, London, England, UK (aged 29).